I ordered this shirt knowing the possibility that I would need to return this all the way back to Croatia if it had arrived without any tags attached. I bought this directly from the club. Luckily when it arrived it did have the tags attached, which I trusted Nike to do this. I am happy to own this shirt as I don't suspect that many people will own this shirt in the UK. The shirt itself is very nice and has a lovely colour combination. The heat transferred logo is my favourite option. Due to finish 4th in the 2016–17 season, Osijek qualified for the 2017–18 UEFA Europa League qualifying phase. Osijek defeated UE Santa Coloma 6–0 in the first qualifying round and then beat FC Luzern 3–2 in the second qualifying round. 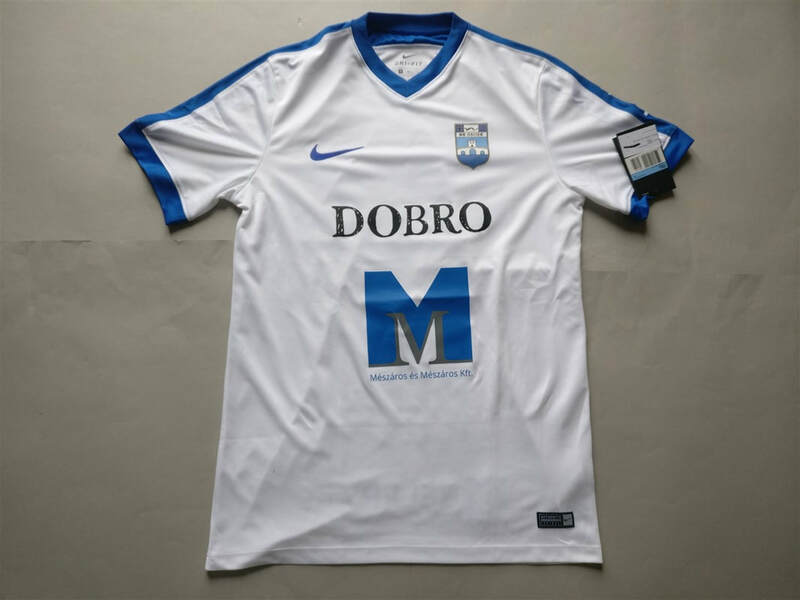 Osijek then drew the twenty-three time Dutch league champions PSV Eindhoven in the third qualifying round-. Against all the odds, Osijek beat PSV 1–0 both home and away to go through to the playoff leg. Unfortunately, the European fairy-tale run came to an end in the play-off round, where Osijek lost on away goals to FK Austria Wien.